Iupdated the Topical Index (see the tab at the top of my blog) to include the 30+ posts I've made since I last updated it. Whew! It took a little while but now it's finished. In case you don't know, the Topical Index is a listing of links to my posts, arranged by topic. 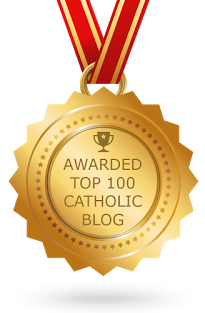 It is meant to be a resource to aid the reader in finding what I've written on topics of relevance to Catholics. Want to know how to defend the sinlessness of Mary? See the "Mary" page. Want to know how to defend the authority of the pope? See the "Church Authority and the Papacy" page. You get the idea. I have put almost 5 years into defending and explaining the Catholic faith. I hope you find this material useful. Btw, all the links in the right and left sidebar should work now too. I need to add links to the "Online Works By Great Catholic Authors" section (in the right sidebar), but besides that, everything is now migrated over from the old blog design (when I upgraded to the new Blogger template, I had to pretty much redo everything). Thanks for reading. If you find a broken link, or if you have a question about Catholicism, just let me know. I blog to serve.